I always say that Fall is my favorite time in Kindergarten, but then Spring arrives and Spring HAS to be my favorite season. I love setting up outdoor learning stations and I also love bringing the outdoors inside! I’ve learned to love the connection to the outdoors through my reading and research in Reggio Inspired teaching. Kids have so many questions about their environment, and plant exploration offers a great way to explore the senses and their relation to science, reading, and writing. I’ve been out of the classroom, recovering from my stroke, for the past 2 months, and I miss setting up learning provocations for the kids. I love setting up different provocations for the kids using natural materials, art supplies, and questions for them to think about. I have a cute little wooden table in my classroom that is one place kids have figured out that I set up my displays. They come in, in the morning, and head to the little table right after the unpack their backpacks. There is always something to touch, smell, or explore. 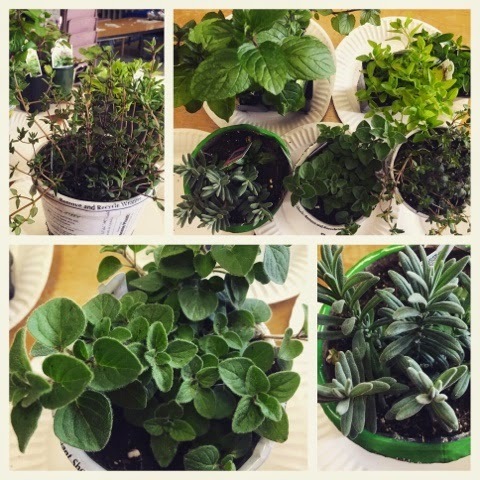 Herbs are awesome to bring into the classroom and I always add them to my home garden. Lavender is a must-have. It grows quickly and most kids like the smell. I love adding dried lavender flowers and a few leaves to plain playdough. Sometimes I will add a few drops of lavender essential oil. 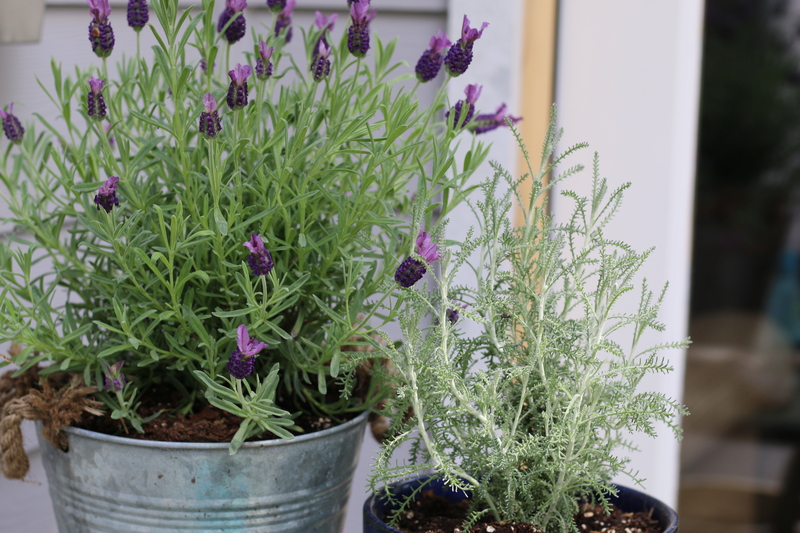 Lavender has calming qualities, which we really NEED in the classroom in the springtime. 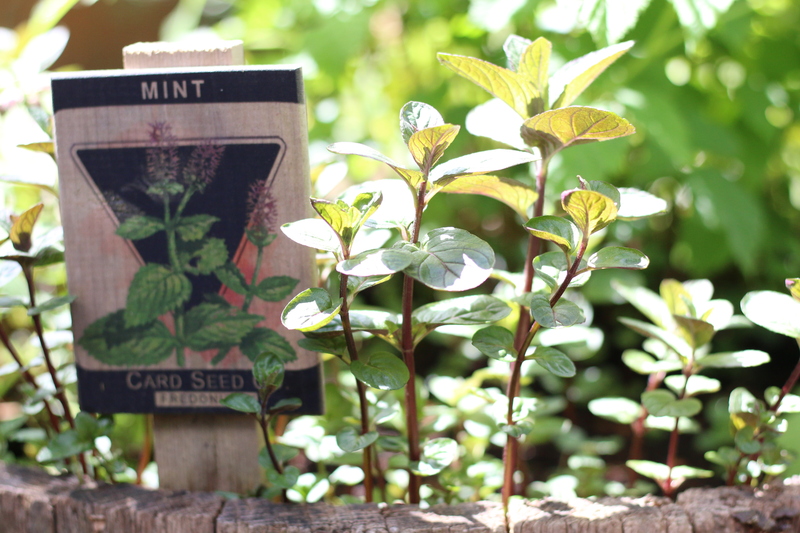 Chocolate Mint is one of my favorite herbs to keep in our courtyard at school. The kids run their hands through the mint every day on the way to class. In the spring, we’ve usually made a fruit salad (mostly berries and cherries) that had small chocolate mint leaves thrown in. If anyone is interested in drying some Oregano, feel free to pick some at my house! I have two varieties and both are thriving. If you are looking for herbs that are really easy to grow. 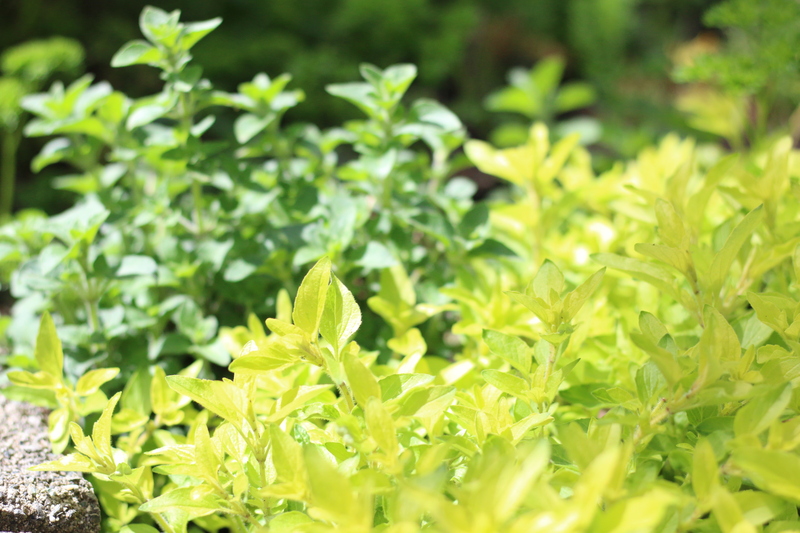 Mint and oregano are two to start with. I love to set my potting bench up with a variety of herbs and sensory plants. Lambs Ear is one that kids love because it is as soft as a lamb’s ear. Whether I was in the classroom or with my kids at home, I showed the kids how to rub the leaves to release the smell of the different herbs. Chocolate mint was always the clear favorite. Many kids had a strong response to the different herbs. Some kids really didn’t like many of the herbs, while other kids had a specific plant that they came back to over and over. Obviously, our herbs and planting lead to a new book display. I absolutely LOVE garden books and have been collecting them for the past few years. Top on my list of favorite books for kids is Grow It, Cook It by DK Publishing. I love this book because it teaches kids how to garden but also what to do with the fruits, veggies, and herbs they grow. My Garden by Kevin Henkes is another favorite. This is a great book for a reading and writing extension on imaginary gardens. One more favorite is The Curious Garden by Peter Brown. This one is just a beautiful story about creating your own garden out of a dreary, uninspired, space. 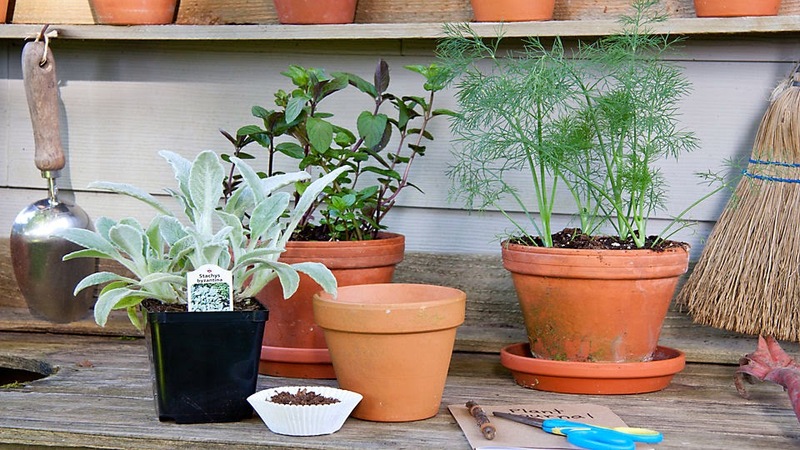 You don’t need a lot of space to grow an herb or sensory garden. A few small flower pots will do just fine. 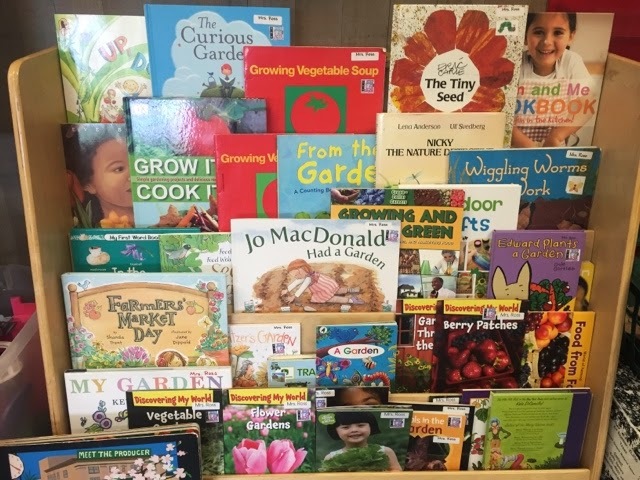 There are so many ways to integrate learning into a gardening unit. There is the science behind the plant, the sensory experience tied to the herbs, the literature that can be found about gardens, and the opportunity to keep a garden journal. Best of all, the kids just love getting their hands dirty and growing their own food.